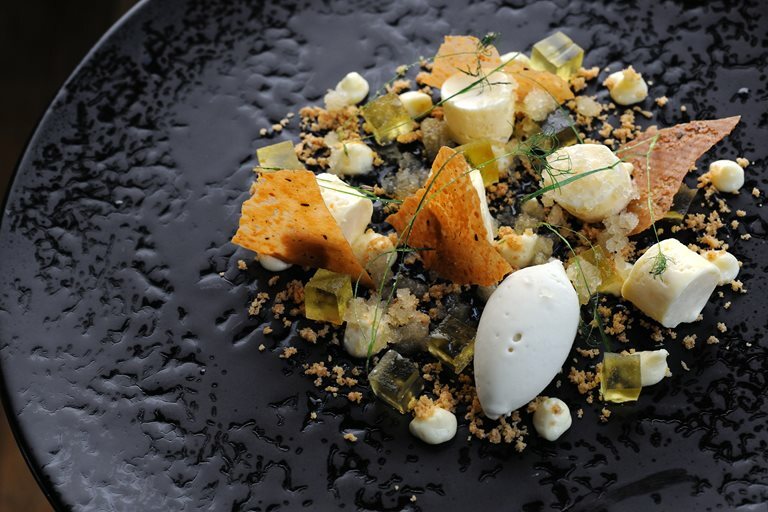 This complex dessert plays with flavours of fennel and lemon to provide a glorious dessert. Fennel pollen is available to buy online as is trimolene and xylotol. Before you start the recipe, you will need to make Adam Simmonds' stock syrup, which is made from simmering equal amounts of sugar and water.